Some consider Chicago to be the birthplace of the varsity esports collegiate program. Some consider the Midwest a mecca for esports and video games alike. Over the last year, I’ve been able to see tremendous growth in collegiate esports, with a lot of great organizations coming about and making moves that show competitive esports isn’t just for the pros. Take for example, the amazing Illinois High School League of Legends State Championships. The event this year was organized by the Illinois High School eSports Association (IHSEA) and held at Robert Morris University. RMU was the first school to establish a varsity esports team and provide high school students with scholarships to play at their school. The event matched the top eight high school League of Legends teams (4 Varsity and 4 Junior Varsity) from Illinois. These teams would battle it out for a trophy, some bragging rights, and some solid funding for the schools that won. I was lucky enough to be in attendance, and all in all, it was an outstanding competition. While there, I spoke with one of IHSEA’s co-founders, Todd McFarlin to learn more about IHSEA and his role in the organization. Todd is the esports coach and coordinator for Taft High School in Chicago. He started the video game club there, as well as the League of Legends club. To his surprise, there were over 100 students that showed up to the club’s first meeting. They ultimately built a team, and after the first year, quickly rose to be one of the top high school teams. The following school year (2017), Todd met more local high school esports coaches at a LAN event held at RMU, and they got the idea to start an organization that fostered competitive esports in Chicago high schools. The idea took some time to get going, but ultimately, with Amy Whitlock from Oswego East High School, Todd founded IHSEA. The organization is one that is truly grassroots, and 100% local. They want to help build the Chicagoland and Illinois communities, that way, you know who you’re playing against when you sit down at your computer. For the future, IHSEA plans to add more than just League of Legends to their game pool. Overwatch is just about ready to go, and they’re also working to add console games like NBA 2K, in conjunction with the NBA 2K summer league, hoping to involve more students who don’t have a computer to game on. They also do amazing charity work as well, running Extra Life streams with students to raise money for a great cause. To find out more about what IHSEA is doing, you can visit their website. I also got to chat with Jose Espin, esports coordinator at RMU about its team and what really separates them from the pack. Robert Morris University started the very first varsity program back in 2014 in what has since become the gold standard for esports programs. While the esports program was initially meant to legitimize competitive collegiate esports back in 2014, the program has since evolved into something that is aimed at students who want to pursue a career in the esports industry, whether as a player or in some other role. The team lives by the general philosophy that in all things, you should be the best person and player you can be, to never settle for less, and to stay strong in the face of adversity. They also focus on three major pillars within their organization; competitiveness, professional development, and community. RMU recruits students of all skill levels and invests the time into helping that student progress as a player. 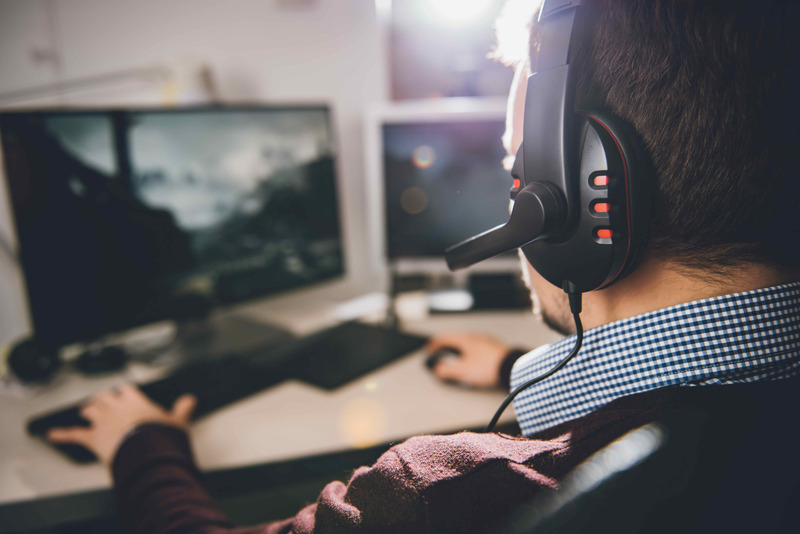 In professional development, they help students take what they are learning in the classroom and apply it to the esports industry. This opens doors to other avenues and careers other than being a player. And with the community, it’s all about being an RMU Eagle at the end of the day. They strive to build their local community and the community within the school and the team. Going forward, they aim to further expand their professional development offering through increased internship programs, they plan to do more local Chicago esports events, and to compete at a high level and finish well in the events they play in. To find out more about RMU esports, check out their esports page. There’s a lot of amazing things happening in esports here in Illinois, but they also are happening across the country. If you’re a student or a parent, reach out to a teacher at your local high school, or even the state school association. There may already be activity in your state! The fast growth of esports is showing to be a real contender in the high school and collegiate spaces, and at the end of the day, it provide another great opportunity for students to get the college education they deserve.